High above the villages there are little creatures that live in the mountains called marmots. However, there is one little marmot who loves to come out and play all winter, and his name is Monty! 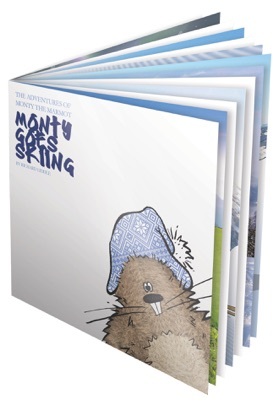 Monty the Marmot loves exploring the mountains and before he goes out to play, he enjoys a big bowl of warm porridge oats. Monty is very good at skiing and loves to get out before anyone else. “I am off to see my new friend Mortimer today”, he said to his mummy. “Make sure you wrap up warm, the snow is deep today and it’s cold outside”, she replied. 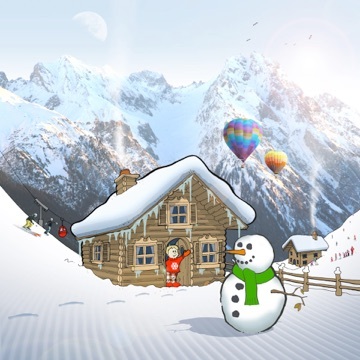 Mortimer was on his first ski holiday and staying with his family in the village below. “Yeah! What are we going to do today?” he asked. 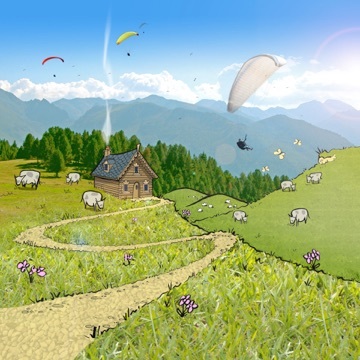 The adventure continues as Monty and Mortimer go to Big D’s Ski Shop to get ready for his first lesson, and then follows Mortimer’s progress on the nursery slopes whilst meeting up with many other characters along the way. Also, we see if Mortimer can earn his first Marmot Ski Award! 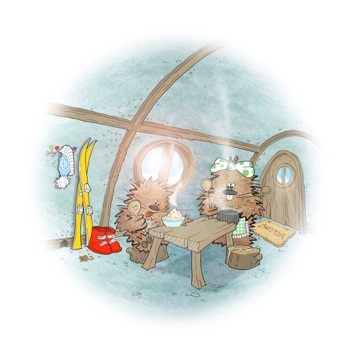 Further installments will feature Monty and his friends in other fun packed winter adventures and go on to explore and enjoy the mountains in different countries and environments.